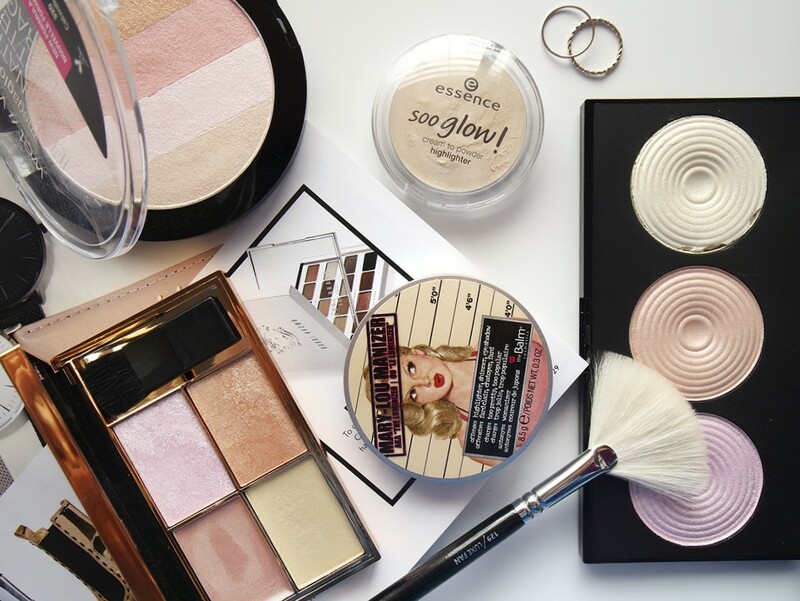 Highlighting is huge in the wide world of makeup and it's probably the most exciting step in my makeup routine. It lifts your entire face by making your skin look like you are just bursting with radiance, and who doesn't want that? So for today's post, I have rounded up 5 highlighters that would make fantastic additions to anyone's makeup bag - especially if you're a highlighter junkie (like myself!). Now you may have read me obsessing over Sleek MakeUP's Solstice Highlighting Palette in an earlier blog post (here), and I think it's very much worth all the hype that it's been getting by fellow makeup lovers. It includes 2 baked powders, a cream as well as a shimmer highlighter, and they are all amazingly pigmented that look absolutely stunning on the skin. Their newest addition to their highlighting palettes is Cleopatra's Kiss, which looks so stinkin' beautiful and has Summer bronzed goddess written all over it. I cannot wait to get my hands on it and I just know that it will be a big hit! Wet n Wild's MegaGlo Illuminating Palette is great for 2 reasons: It has pretty decent colour pay off and it's also very budget friendly. I like to use the rosy-pink shade as a blush, and it just gives my cheeks such a lovely pop of colour with an added luminosity. The powders are quite soft If you're wanting to intensify the glow for a dramatic nighttime look, spray your brush with some setting spray and highlight away! It truly makes a difference and your cheekbones will gleam with glowing goodness. I was actually pleasantly surprised by the quality and how beautiful the Soo Glow! by Essence is! The cream to powder formula is very easy to work with, and the shade Look On The Bright Side is a gorgeous shimmery frosty-white that really complements my fair skin. I love packing this into my travel makeup bag because it's so compact and fuss-free; You apply it to the high points of your face using your fingers, blend and that's all there is to it! I definitely recommend it, especially for anyone who is starting out with makeup. An illuminator that gives you that ultimate beaming highlight look that can be seen from a mile away is The Balm's Mary-Lou Manizer. It is an absolute cult favourite in the makeup industry simply because the quality is nothing short of amazing. The gold-champagne shade would suit all skin tones and a little goes a very long way, so you can go subtle for every day or build it up to the intensity you desire for a heavier makeup look. Even though it's slightly on the pricier side, it'll last you a good while and I think it's an absolute must-have for any makeup junkie out there. The lucky last product I have to share with you is the affordable yet beautiful Highlighter Palette in Highlight by Makeup Revolution. It holds 3 of their best-selling Vivid Baked Highlighters - Peach Lights, Pink Lights and Golden Lights (similar shade to Mary-Lou Manizer). 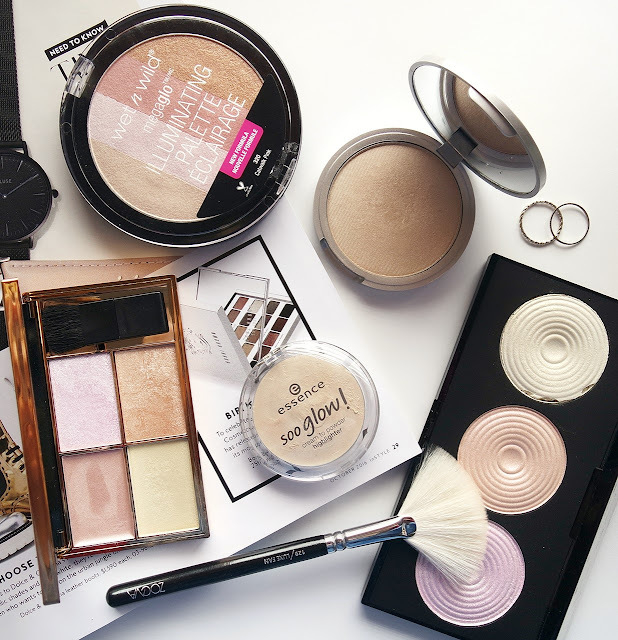 You could mix and match the shades to create a custom highlight and build up the level of radiance on the skin. The shades are very soft and the pigmentation is quite nice although, they are a bit powdery but for the price you can't really complain!